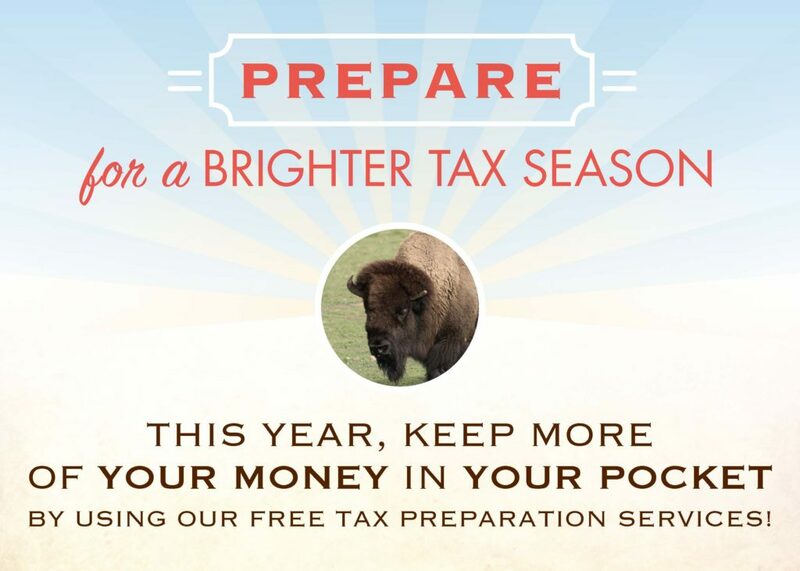 Lakota Funds and the Lakota Federal Credit Union are partnering again this year to facilitate a Volunteer Income Tax Assistance (VITA) site that will offer free tax preparation services to those who live on the Pine Ridge Reservation and neighboring areas. “This is a critical service that helps fuel our local economy and help our community members get ahead financially. We are grateful for Citi Community Development’s continued support of this work,” says Tawney Brunsch, who is the Executive Director of Lakota Funds and the Board Chair of the Lakota Federal Credit Union. Last year the VITA site channeled over a million dollars to nearly 450 tax payers – the highest in its 10-year history. Brunsch says that tax refund money is how many local families stay afloat financially. According to a survey they did at the VITA site last year, about 85% of tax payers use their refund to catch up on bills. The average refund was about $2,300. “So many families in the area struggle financially, so a couple thousand dollars can really make a difference. Our goal is to make sure tax payers get the maximum refund possible,” says Brunsch. The VITA site’s strategy to maximize tax refunds includes saving tax payers money on preparation fees – an average of $250, eliminating interest and fees associated with rapid refunds by encouraging e-filing and direct deposit, and making sure every tax payer claims all of the credits they are eligible for – including the Earned Income Tax Credit, a credit that has the potential of increasing someone’s refund by over $6,000. Lakota Funds and the Credit Union plan to kick of the 11th year of the VITA site on January 26, 2019 with a Super Saturday event at Oglala Lakota College’s Pine Ridge Center. Three staff members and five volunteers from Black Hills State College who all have gone through an IRS-certification process will be available between 9:00am and 2:00pm to process tax returns. Walk-ins will be welcome, but appointments are encouraged. Those interested can call 455-2500 to schedule an appointment and to find out what documents they need to bring to the site. Tax season officially opens on January 28, 2019, and the IRS will begin accepting returns then. Despite the government shutdown, tax returns will be processed as usual and refunds will be issued. Following Super Saturday, the VITA site will be opened by appointment. In addition, a mobile VITA site will travel to various locations including Allen, Batesland, Manderson, Martin, Mission, Oglala, Porcupine, and Wanblee. Those exact dates and times will be announced. Ready to join the Lakota Federal Credit Union? Find out how you can become a member today.